Sometimes it seems like things are just meant to happen. I’ve got a neighbour who owns an ’02 Jaguar S Type; on the outside it seems like a proper old man’s car, but the thing has a 4.2-litre V8 lump and factory-fitted BBS rims. There’s something about it that makes me plot and scheme… One of these trad-style Big Cats would make an awesome base and you can pick them up for next to nothing. I was thinking old school Broadspeed XJ mixed in with the look of the V8-Star S-Type silhouette racer: big and bluff, wide and low, stupid quick – something uncompromising and out of the ordinary. So when I came across this V12 monster at Tunerfest, I couldn’t have been happier. This was almost exactly the look I’d been daydreaming about. 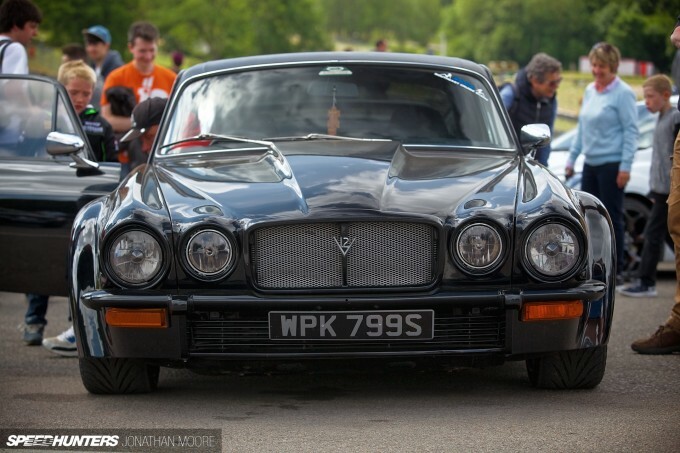 Even better, it will drive purists apoplectic with rage, as this was no regular ’70s XJ. It was the car that Jaguar revived the defunct Daimler name for back in 1972: the top of the range Daimler Double-Six. Based on a ’78 model, the owner has carried out a huge amount of work. 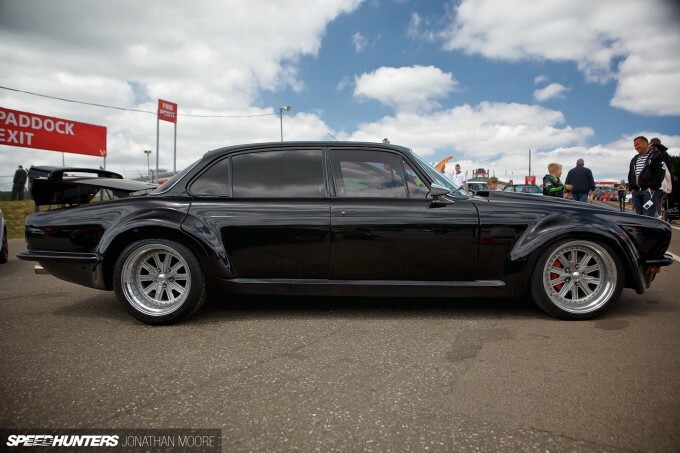 He remodelled the body lines, pushing out the fenders and hand-moulding new steel panels to contain the huge split rims. I love their hybrid look – racing dish combined with pseudo knock-off centres, fitted with 235/35R18 Toyo rubber. The nose is perfect. Whereas the more modern S-Type’s bonnet had a bit of a jelly-mould take on the continuation of the quad-headlight lines, the Daimler has the definitive aggressive look. The clearly defined radii rake back along the bonnet; the grille is dark and brooding, perfectly framing the classic V12 badge. I’d been so busy admiring the overall look, I hadn’t even stopped to think about what might be under the bonnet. The 5.3-litre V12 that it came with – a classic of the era – made it a bruiser out of the blocks: a howling banshee, a gentleman thug. But when I got to the canted-open rear, I couldn’t help but laugh in surprise. The Daimler packed dual Nitrous Oxide Systems tanks, 20-pounds of N2O per bottle, enough to punch it into orbit. 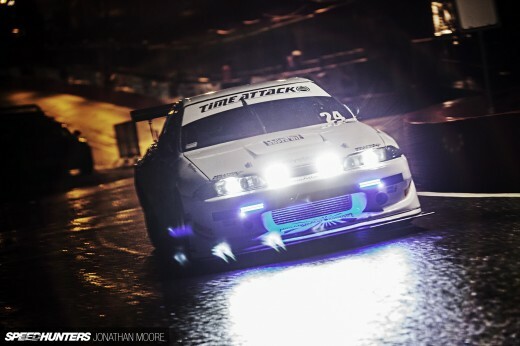 Uprated suspension and a Quaife racing diff help keep it all under control. It’s a heavy car of course, and hardly something that you’d be looking to destroy lap times with – the auto ’box being another factor. But this car is more about the manner in which you do things, and being propelled forward by a nitrous-injected V12 must be a glorious and frankly terrifying experience. 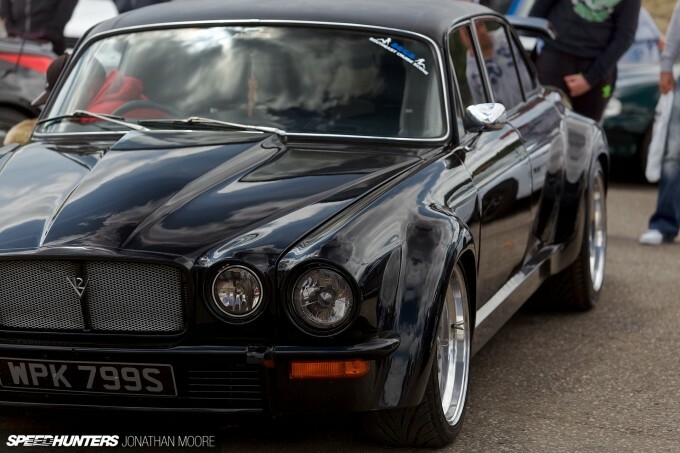 This is a Jaguar after all – just a Jaguar from Mordor. i like it. also it still has the BL sure cover window sticker in the window.I can remember when all bl cars had that. 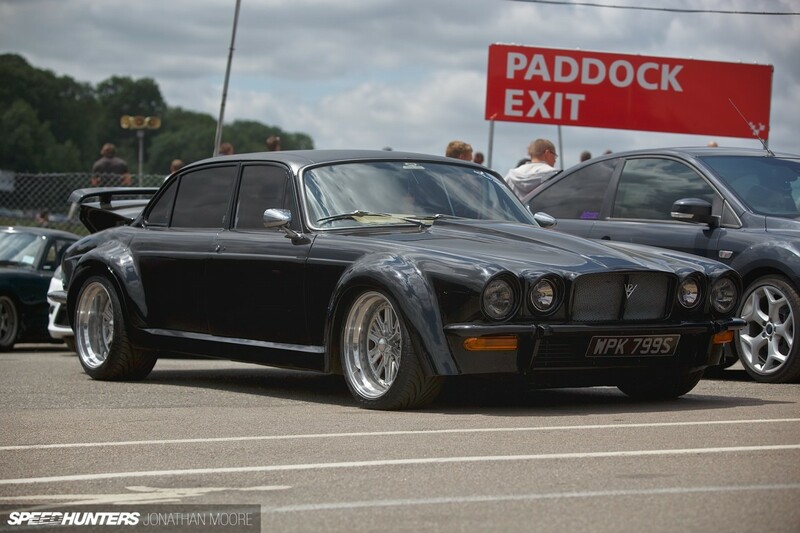 haha just a jaguar from mordor, nice. 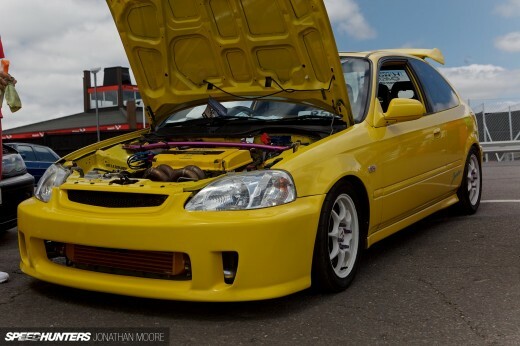 The only thing I would add, just for a meanner look, would be a 70's80's period front lip like a desguised snowplow.. but this is absolutely stunnig. I figured this might be appropriate; saw this at the Power Tour stop in Gonzales earlier this year. Dill Pickle That's the Draguar from Roadkill, it's even on the background their new van. Ah, I hadn't heard of it before, it's definitely something special! 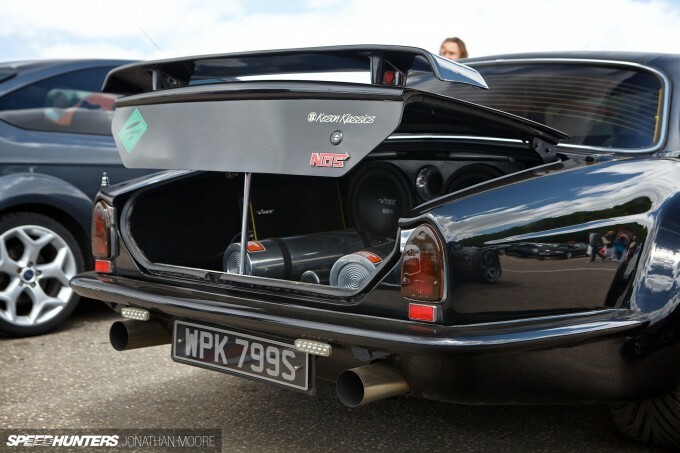 Jaguar XJS when released with its V12 I believe produced more torque than Chevy V8s (not sure of specific engines) but they were pretty impressive though I suspect top end isn't too flash. I was interested in getting a Jaguar XJS but the costs involved of maintaining a car that challenged the Lamborghinis and Ferraris of its day frightened me. Lucas electrics and British engineering of the 70s too. That being said they are beautiful cars. Sovereigns are very nice. XJs from the first series including the Daimler Sovereigns are very nice, as are the squarer 80s ones, and they still look good. There aren't many models that have lasted so long that have all looked so good. Dill Pickle Brilliant program on youtube! 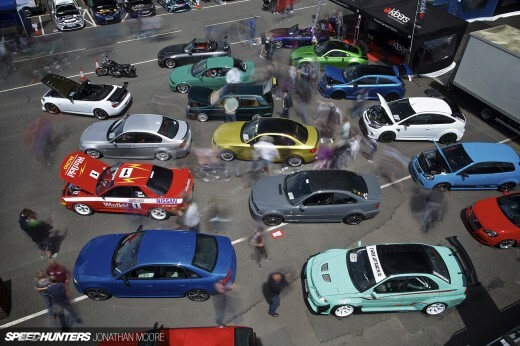 Engine changes in shopping parking lots... oh yeah! "fitted with 235/35R18 Toyo rubber"
John Key NZ I go back and forth about picking up a SII or SIII XJ. Definitely not interested in the 12 though. They do make a great noise but are notorious for overheating and pretty restrictive heads. Pulling power out of them is not that easy. They are amazingly comfortable and parts are there. Give me one of the numerous Chevy V8/ LS swap kits and then you have a seriously sweet ride. This one is just too much flash. The body treatment is nice but odd looking on a LWB version. Like something out of a Bond movie. Awesome!!! Very nice machine! 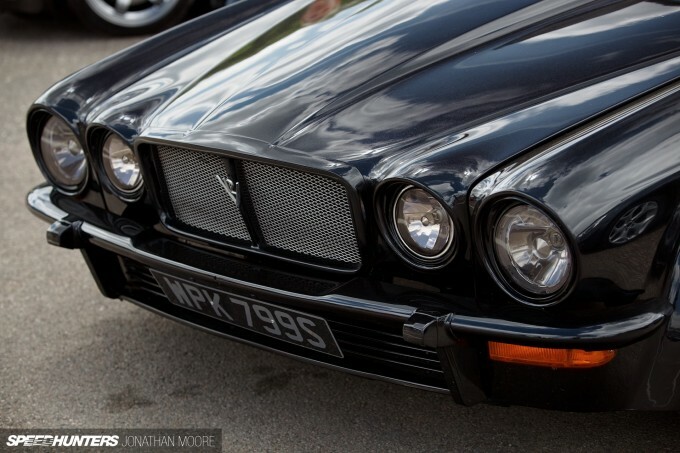 I've got a soft spot for old jagsbut the thought of looking after the V12 scares me a bit. This one looks pretty darn good. The only things I change would be to blacken out the mesh in the grill and get rid of the boot spolier but overall what a car! 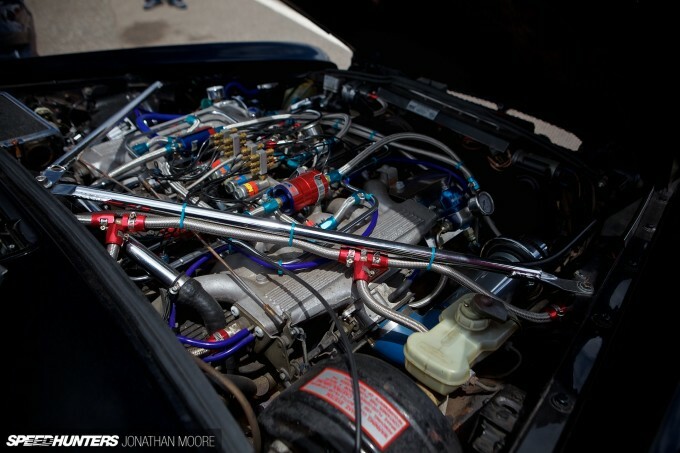 These engines are already time bombs, can't imagine what nitrous is going to do to it. Why no interior photos?? WHY???!! !